Walter The Spaz is a girlie dog. He just is. His favorite color is pink. For real. My sister in law Susie knows this and she took her crafty skills and made him a blanket. He loves it. 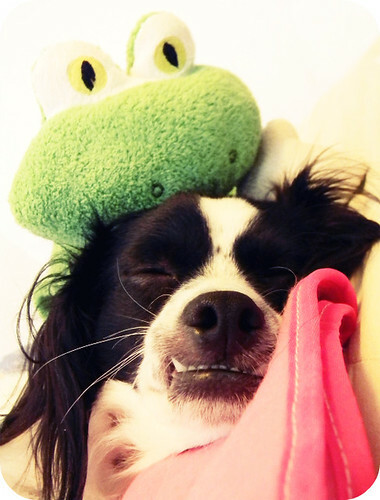 Life is good when you’ve got your blankie and your favorite stuffed buddy. Posted in Walter The SpazTagged humor, pics, random, walter the spazBookmark the permalink. psssst, how do I subscribe? I think you can subscribe via email. If you click on the “home” button up top it will take you to my blog’s main page, and there is a spot on the right side where you can subscribe. 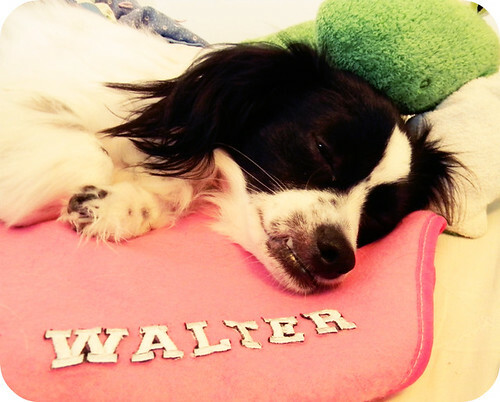 Awww Walter, I love him. What a cutie! Now I know where to look for my daily dog fix. 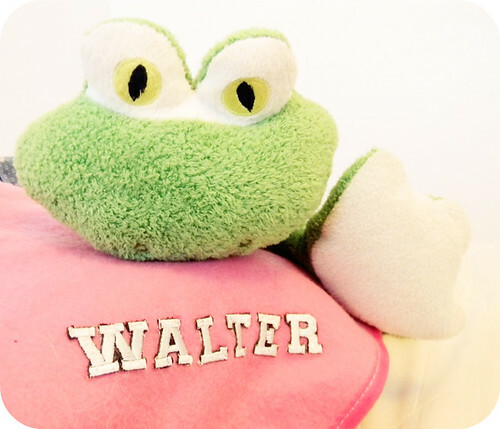 Oh my goodness.. Walter is adorable!!! I love his little blankie.. too sweet! Sunday Scenes: I Have Issues. I Know This.